Many women regard their hair as their crowning glory. They spend a lot just to maintain or improve the state of their hair. 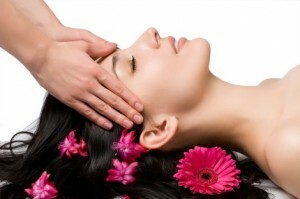 There are many treatments available for all types of hair like shampoos and conditioners. The good thing about commercial shampoos and conditioners is that they have different types to address to different forms of hair damage. But sometimes, we simply want natural or organic treatments. In this article, we will discuss about the different hair treatments that are natural and organic. Believe it or not raw eggs are the best. We can choose to apply the yolk or the white depending on our needs. Yolks are naturally rich in fats and proteins that can serve as a moisturizer. Egg whites are effective when it comes to removing oils because of the presence of bacteria eating enzyme. Cover (with yolk or white) the scalp and leave it for 20 to 30 minutes then wash it using a shampoo. Sour cream and yogurt are best for dull hair. Look for either sour cream or yogurt then massage it into hair. After 20 to 30 minutes, wash it with lukewarm water followed by cool water then resume to our regular washing of the hair with shampoo. Honey can help if we have dry hair. Prepare the honey and massage it into hair for 20 to 30 minutes then wash it. Cornmeal or cornstarch is the best remedy for oily hair. Put the cornmeal or cornstarch in a container with small holes so that it will come out when we sprinkle it to the hair. After making sure it is empty, we can start combing the hair for 10 to 15 minutes then wash it.